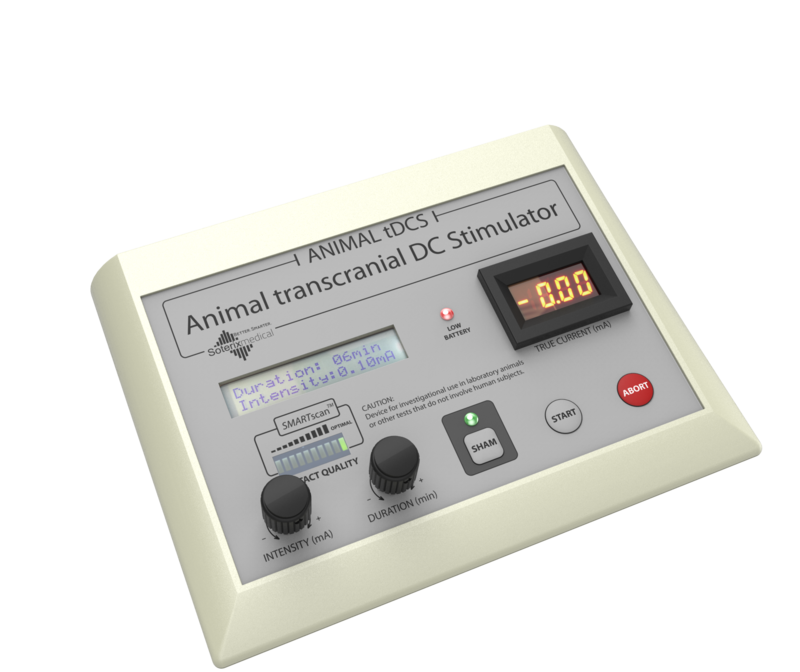 The Soterix Medical Animal tDCS device provides reproduction of all tDCS protocols used in animal experiments and can be used for DCS in tissue systems such as brain slice and culture. The device provides a resolution of 10 µA spanning 20 µA to 1000 µA, allowing researchers ultimate flexibility in setting intensity dose. 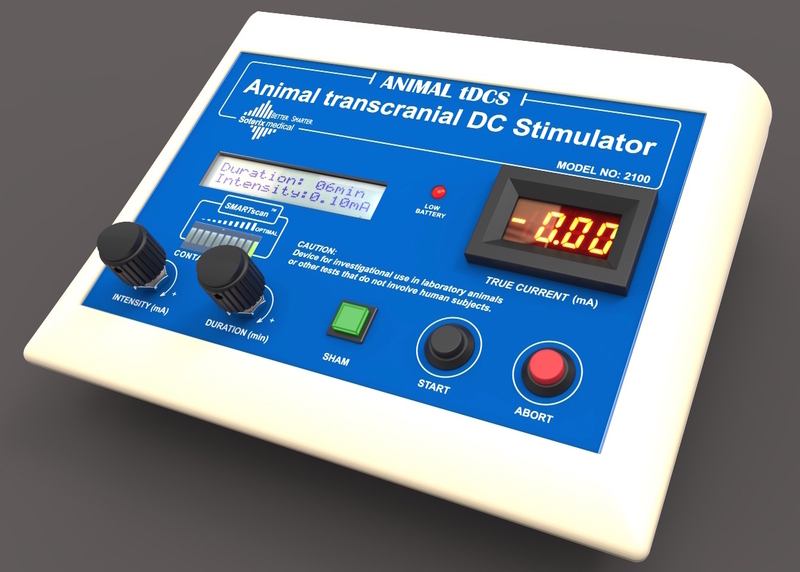 Experimental systems can provide a very wide range of potential loads, and the Animal tDCS is the only system engineered to ensure reliable stimulation, even under unexpected conditions. The device provides a resolution of 1 min spanning 5 min to 60 min allowing researchers ultimate flexibility in setting duration dose. For any dose, simply engaging the sham switch enables a matched sham dose. In addition to initiating stimulation from device front panel, the device can be triggered to start by a trigger pulse. TRUEcurrent: Independent current meter, which displays the actual value of current being delivered irrespective of the value dialed in. SMARTscan- contact quality display at all times- beginning, duration and post-stimulation. 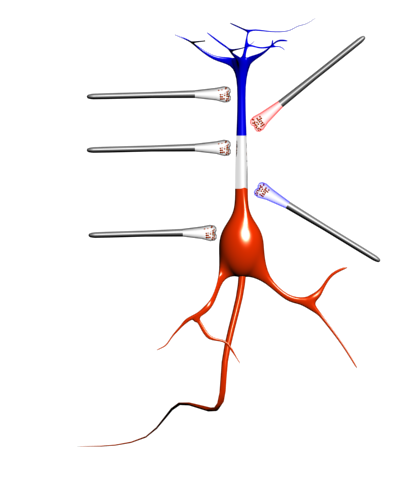 Soterix Medical was founded to advance the science of tDCS. The same innovative features and rigorous technology design that has established Soterix Medical as the leader in human trials, have been incorporated in to the preclinical stimulators. This includes important features for reliable stimulation. From pre-stimulation set-up, to during stimulation monitoring, to post-stimulation confirmation, the Soterix Medical SmartScan™ feature provides an intuitive and clear indication of electrode contact quality. Use the SmartScan™ during set-up to adjust electrodes for optimal fit. During stimulation, SmartScan™ provides a constant indication of electrode quality and can be monitored during adjustments After stimulation, SmartScan™ confirms a successful trial. Because “resistance” is not meaningful for tDCS, SmartScan™ was developed by Soterix Medical engineers to provide clinical investigators with a simple to read indication of contact quality. What other devices promise, the Animal DCS system delivers. The back-lit display can be monitored during stimulation ramp up and to confirm target current intensity is achieved. An automatic stimulation sham feature that is engaged with a simple switch. Auto-sham automatically calculates and produces a sham waveform based on the indicated “real” waveform. For example, for a corresponding real waveform of 1mA and 10 minutes, auto-sham will provide a ramp up/down to 1mA at the start of stimulation, and again after 10 minutes, with the timer automatically adjusted such that the total run time is exactly matched to the real case. Based on the Soterix Medical OpenPanel™ design principle: with no complicated programming or hidden drop-down menus required.